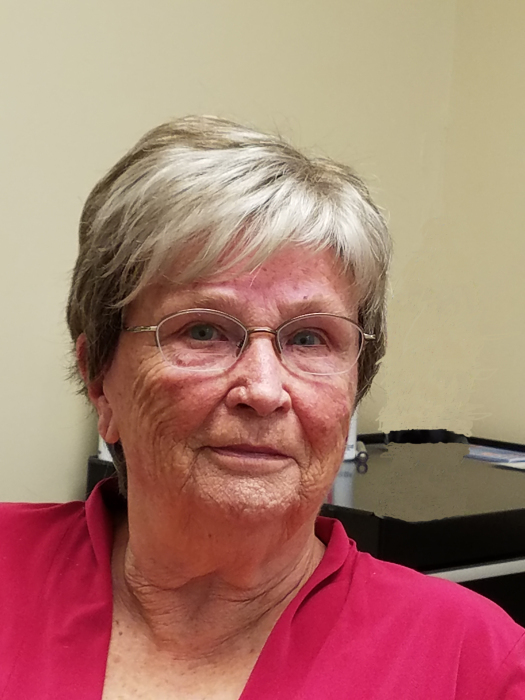 Sharon Lee Voss, 79, of Rochester, stepped into eternity on Tuesday, June 19, 2018 with her family by her side while under the care of the Bird House Hospice Home in Iowa City. To honor her wishes there will be no formal services. You are welcome to share your condolences at www.fryfuneralhome.com. A memorial fund has been established in her memory and will be granted to a placement of a bench at Sherman Park. Sharon was born on November 24, 1938 in Council Bluffs, Iowa and was the daughter of Clarence and Dessie Fronk. She attended grade school and high school in Council Bluffs. After school she worked several jobs until she met and married Herman John Voss on June 25, 1958 in Council Bluffs. She was a homemaker, mother, grandmother, great grandmother and friend to all. Sharon is survived by her husband, Herman of Rochester, Iowa; 5 children, John Voss of Tipton, Colin Voss of Rochester, Melinda “Mindy” and husband, Mike Frehe of DeSoto, KS, Michele and husband, Duncan Woodward of Iowa City, and Garth Voss of Maquoketa; grandchildren; Tanya Petty, Breana Voss, Morgan Burns, Michaela Maine, Madison Stallbaumer, Montana Frehe, Alex Woodward, Darby Woodward, Clarissa Woodward, Russell Voss; great-grandchildren, Tucker and Gunnar Heick, Cadyn Daigle and Grayson Voss, Jocelyn and Henry Burns, Evelyn and Holland Maine, Patrick and Fulton Stallbaumer. sisters, Bonnie Brewer and Violet “Vi” Clanton; brother, Harold (Kay) Fronk.